So you’ve just had your six-month dental checkup and you were told you need to consider getting a dental night guard. 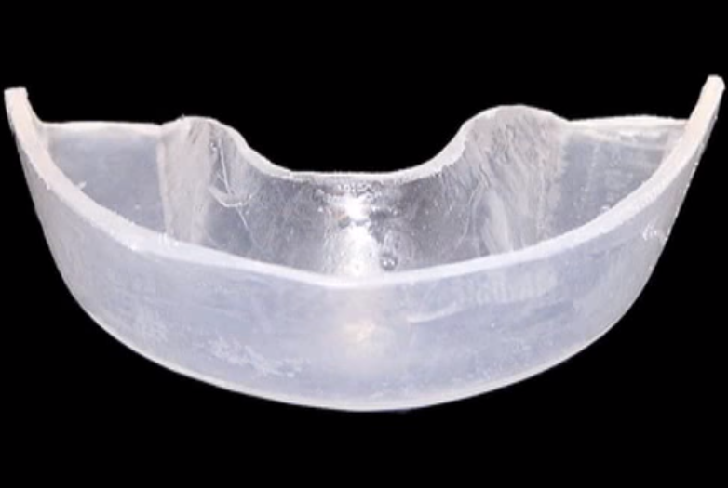 What exactly is a dental night guard and what is it for? Read on to find out! ➛Brush and floss your teeth before insertion. ➛When placing the guard in. If guard feels tight, place the appliance in warm water for 15-20 seconds. This will quickly soften the inner lining allowing for ease of placement. ➛Upon removal, the appliance may be cleaned with a soft toothbrush and toothpaste. Or antibacterial hand soap. ➛NEVER boil your appliance, it can distort. ➛Keep appliance away from animals. They will chew appliance. ➛Over time the appliance can discolor due to age. ➛Guards should be brought in at your annual exam to a sure it is providing adequate protection. ➛Be aware that eventual replacement of your appliance will be necessary depending on the severity of grinding as well as regular wear and tear. You can expect your appliance to last anywhere from 3-5 years. If you happen to notice any of these signs and suspect you may be grinding your teeth, schedule an appointment with a dentist to perform a thorough evaluation to determine if bruxism is the root of what you’re experiencing. If it is, he or she will talk with you about your treatment options and work together to decide which one may be best for you.